You can now find us at Erina! We are now located at 202 The Entrance Road (Central Coast Hwy) Erina. We are located next door to Luxaflex and Battery World. We have three reserved parking spots at the front for clients only (please see the diagram below). 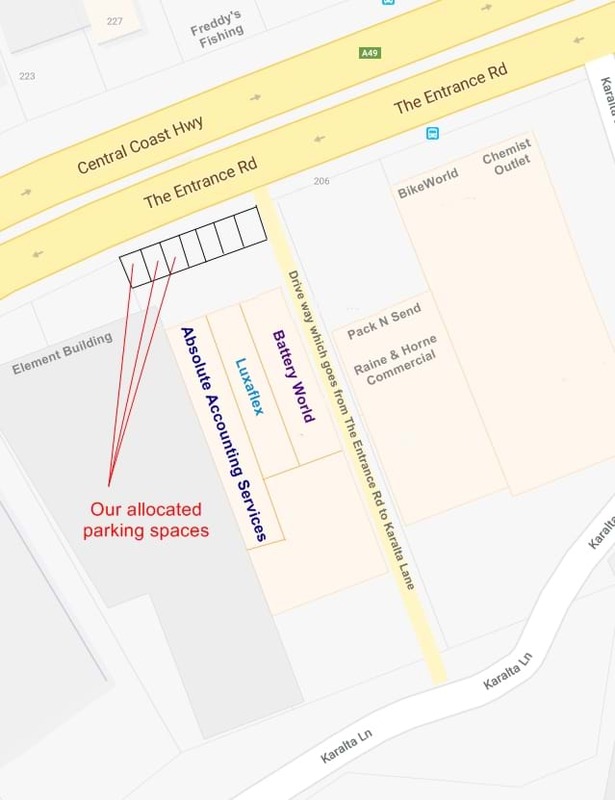 There is a driveway next to Battery World which goes from The Entrance Road to Karalta Lane, which means you can easily access our office and parking from Karalta Lane. If you have any questions locating our office, please call us on 4325 5530.